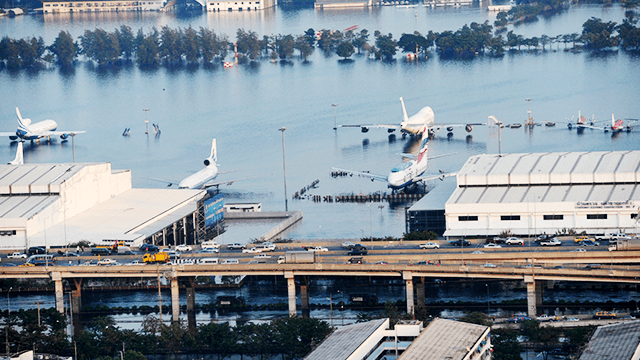 When an extreme environmental hazard strikes, infrastructure can be a deciding factor in whether or not the situation becomes a disaster. Roads, for example, can provide access to quickly supply relief aid to affected communities; but if roads are destroyed, entire regions can be cut off from support. The World Risk Report 2016, published on 25 August by UNU-EHS and Bündnis Entwicklung Hilft in cooperation with the University of Stuttgart, analyses the role that infrastructure plays in shaping a country’s disaster risk. Read more. Over the last few decades, the world has experienced an increasing number of catastrophic earthquakes, tsunamis, floods, storms and droughts. This trend is expected to continue as climate change increases the frequency and severity of extreme weather events. 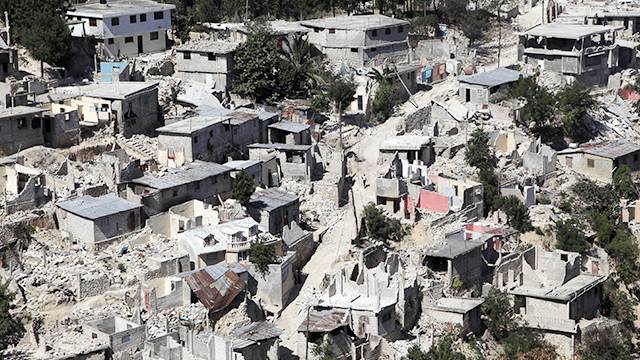 As the number of disasters rises, it is crucial to analyze the spatial and temporal patterns of disaster risk and understand what is influencing them. Read more. 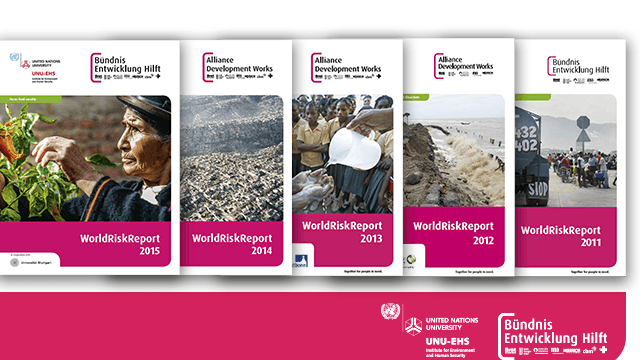 Every year the World Risk Report (WRR) features an update of the World Risk Index (WRI), which calculates the vulnerability and exposure to natural hazards of over 170 countries and then ranks them based on their disaster risk. For the last five years the pacific island nation of Vanuatu, the Polynesia state of Tonga and the Philippines have consistently ranked as the three countries with the highest disaster risk. Read more. Berlin, 25 August 2016 – Inadequate infrastructure and weak logistic chains substantially increase the risk that an extreme natural event will become a disaster. This is a core finding of the World Risk Report 2016, which the Institute for Environment and Human Security at the United Nations University and Bündnis Entwicklung Hilft – Gemeinsam für Menschen in Not e.V. in cooperation with the University of Stuttgart presented today in Berlin. Read more.